"The Mysterious Landscapes of Hercules Segers"
Hercules Segers, Mountain Valley with Fenced Fields (ca. 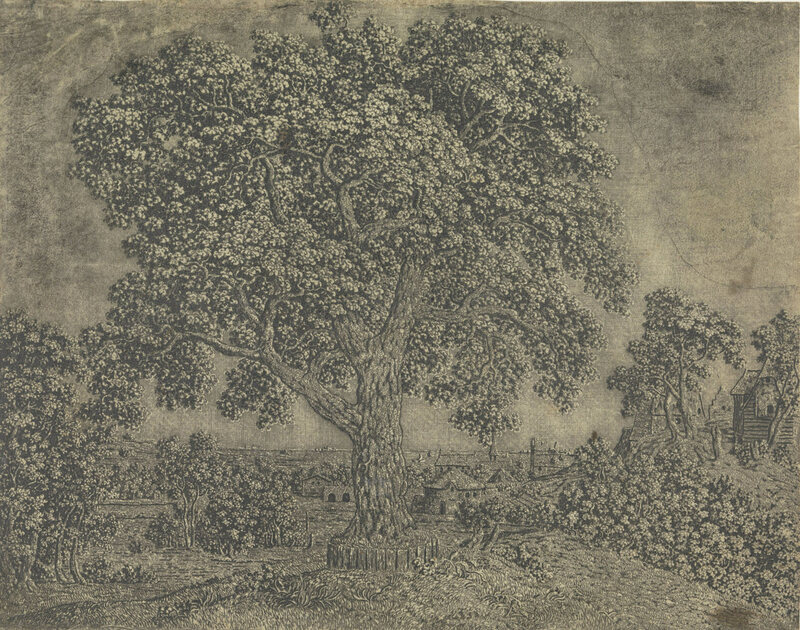 1615–1630), etching, 22.5 x 28.9 cm. Rijksmuseum, Amsterdam. 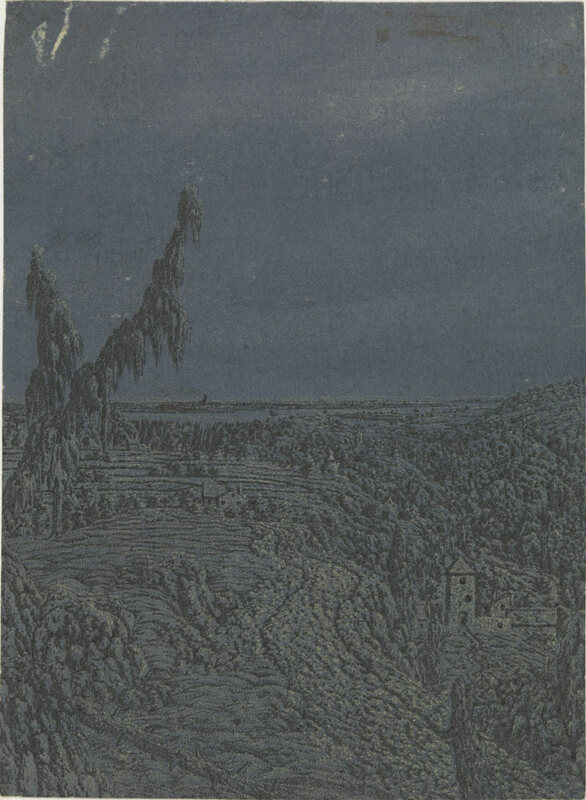 Few printmakers are as legendary as the Dutch artist Hercules Segers (1589/90–after 1633). His rare and mysterious etchings seem caught out of time—works of an eccentric genius who operated outside the normal bounds of place and era. The delicately colored Mossy Tree (ca. 1625–30), or surreal Mountain Valley with Fenced Fields (ca. 1625–30), might easily be mistaken for products of the 19th or 20th centuries. Hercules Segers, Landscape with a Plateau, a River in the Distance (ca. 1615–1630), etching, 14.4 x 10.6 cm. Rijksmuseum, loan from the city of Amsterdam. In an intriguing twist, at least by 17th-century standards, his reputation soared shortly after his death, with no less a personage than Rembrandt owning eight of Segers’s paintings, at least one of his copperplates, and probably quite a number of impressions of his prints. Segers was one of the first Western artists to achieve widespread recognition only posthumously, a fact that reflects the intense collecting culture in Amsterdam at the time, in which the death of an obviously brilliant but poorly-selling artist triggered a scramble among the cognoscenti to obtain what they could. Only then did his reputation grow, along with the prices his works fetched, and it happened very quickly. The exhibition recently organized by the Rijksmuseum in Amsterdam and the Metropolitan Museum of Art in New York marks the first substantial airing of Segers’s work in many decades, the first ever in the United States, and the first unveiling of several pieces newly attributed to the artist. Well over 100 works appeared in each venue, comprising the majority of his surviving oeuvre of 184 impressions from 53 different plates, and 18 paintings (including two oil sketches). The massive two-volume catalogue that accompanies the exhibition laudably illustrates the entire oeuvre rather than just the exhibition contents. In effect, it serves as a new catalogue raisonné, and thus an updated version of Egbert Haverkamp-Begemann’s seminal 1973 study, long out-of-print and nearly unobtainable. 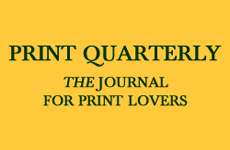 The authors of the present catalogue quite sensibly decided to retain his cataloguing (“HB” numbers) for the prints since so little has changed: two new impressions have been discovered, while only one of his accepted plates has now been rejected. The paintings were given “P” numbers to distinguish them. Hercules Segers, The Mossy Tree (ca. 1615–1630), 16.8 cm x 9.8 cm. Rijksmuseum, loan from the city of Amsterdam. 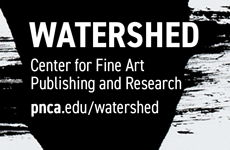 What the exhibition and catalogue do freshly is present several years of focused research that has led to a wealth of discoveries and clarifications related to Segers’s endlessly fascinating and exceptionally challenging work. No two impressions from the same plate are alike—or even close, for the most part—varying in terms of substrates, inkings, subsequently applied color, and reworkings. The authors devoted considerable effort to providing the most accurate descriptions to date for each impression. Furthermore, a systematic chronology was attempted for the first time (since nothing by Segers is dated) based on a combination of new watermark data and stylistic analysis. Though by necessity this must remain educated guesswork, a reasonable case can be made for at least separating earlier from later works. One notable discovery is his previously overlooked use of Asian paper. While Rembrandt has long received credit for being the first to introduce the use of Asian papers (which are probably entirely Japanese) into European printmaking around 1647, Segers appears to have done so a decade or two earlier. In addition to his continuously creative technical experiments, Segers reveals himself to be a virtuosic handler of the etching needle, indeed one of the finest in his day. 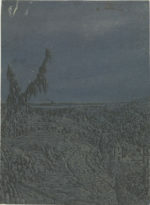 A good example of how these two sides of the artist come together is the second-state impression on blue paper of Landscape with a Plateau, a River in the Distance (ca. 1622–25). Segers’s use of a second plate, overlooked until recently, to add delicate, abundant and precisely rendered gold-color highlights is a testament to his effort and ingenuity for nuanced effects. The result is simply magical. 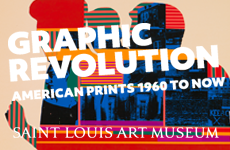 At the same time, he appears to have been an iconographic innovator as well. The Large Tree (ca. 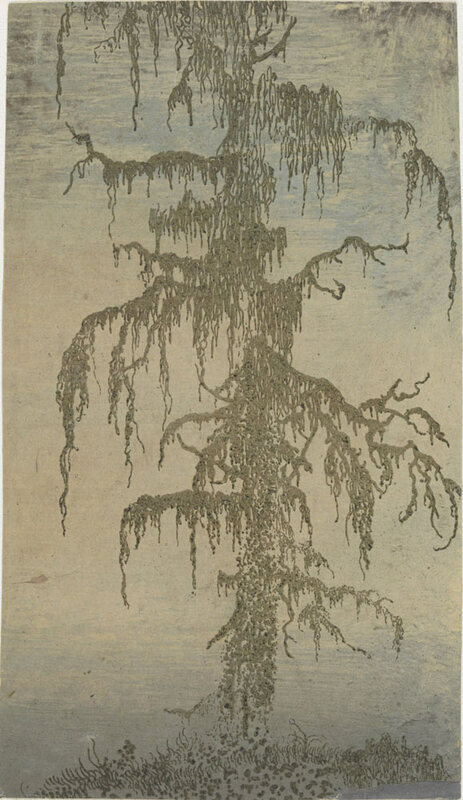 1628–29) is an arboreal portrait of unprecedented sensitivity, using etching to imbue foliage with a vivacity rarely found before or after in the history of print. 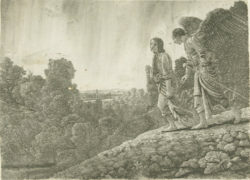 Hercules Segers, after Adam Elsheimer, after Hendrick Goudt, Tobias and the Angel (ca. 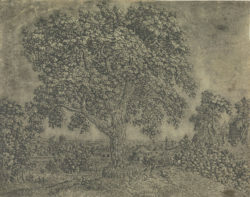 1615–1630), etching, 20.1 x 27.6 cm. Rijksmuseum, Amsterdam. Along with close analyses of the objects Segers made, the exhibition organizers combed through the documentary evidence related to his life, resulting in the fullest and most complete biography to date. Born to a merchant family, he fathered a daughter out of wedlock while still a young man, and eventually married a well-heeled and slightly older woman with whom he appears to have enjoyed a certain degree of prosperity until a bankruptcy in 1631. All trace of him is lost after 1633 and we have no clear idea when he died or how, regardless of van Hoogstraten’s eyebrow-raising tale. 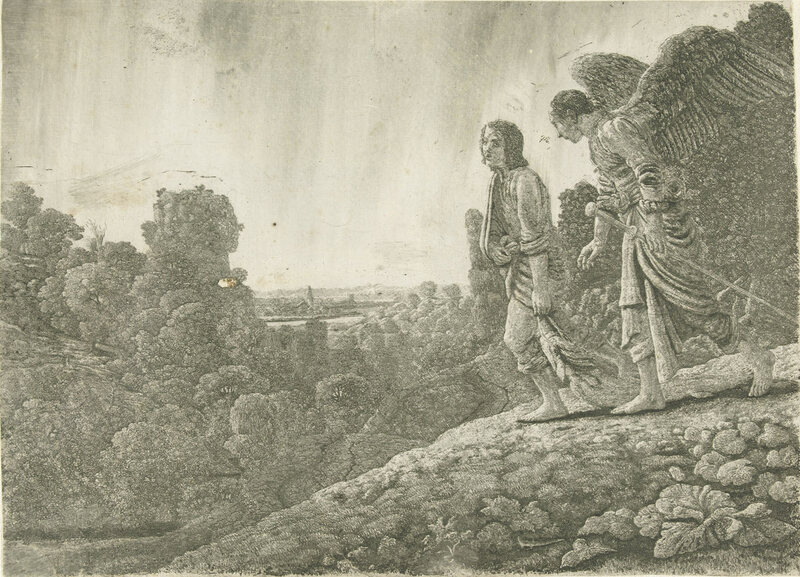 The most remarkable recent find is that Segers almost certainly owned a painting by Rembrandt at some point before 1631.2 As has long been known, Rembrandt acquired the copperplate for Segers’s Tobias and the Angel (ca. 1630–33) and dramatically reworked it, eradicating the original large figures and transforming the subject into a Flight Into Egypt—an unprecedented type of alteration or artistic dialogue that has been the subject of much discussion.3 That Segers and Rembrandt may have known each other personally, a thought rarely ventured, now seems more likely. Coinciding with the Rijksmuseum’s iteration of the show, the Museum het Rembrandthuis in Amsterdam presented “Under the Spell of Hercules Segers: Rembrandt and the Moderns,” which examined the rich afterlife of Segers’s influence on later artists.4 In addition to the works of Rembrandt himself—including the Tobias / Flight Into Egypt—the exhibition incorporated rare color prints by 17th-century artists Jan Ruyscher (nicknamed “Little Hercules”) and Philips Koninck, and 20th-century prints by artists who found in Segers’s work a precursor of their own Surrealism, Expressionism and experimentalism. Hercules Segers, The Large Tree (ca. 1615–1630), etching, 21.8 x 27.7 cm. Rijksmuseum, Amsterdam.